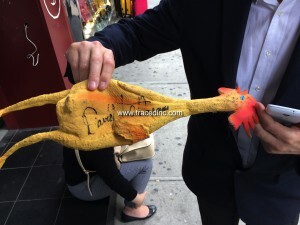 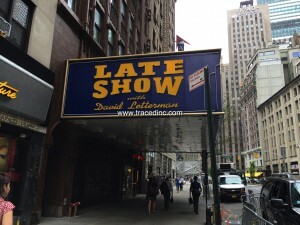 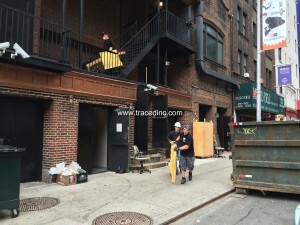 David Letterman Set Teardown Day 4 | Traced, Inc.
Today consisted of random things from the offices, rubber chicken signed by David Letterman, baseballs, party supplies, pool inflatables, Late Show coffee mugs (which were too far to reach), gumball machines. 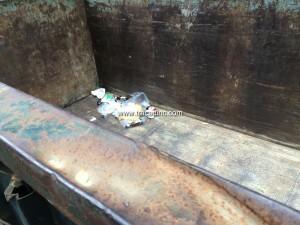 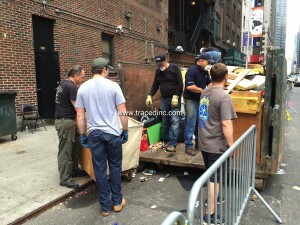 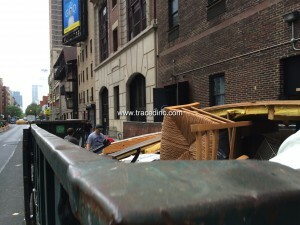 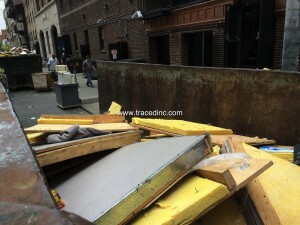 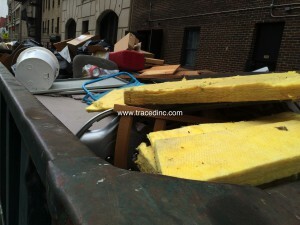 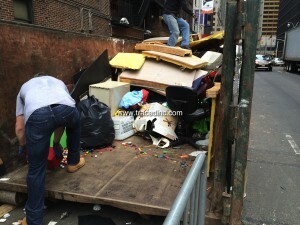 The remaining pieces of office furniture were brought to the street and crushed by a garbage truck. 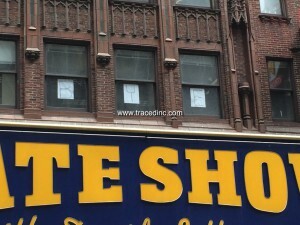 The offices were completely empty including the BYE signs that had been put in the windows. 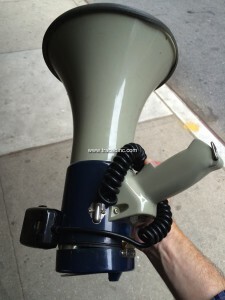 Highlight of my day was the megaphone used by Bill Murray in the April 2014 show with Lady Gaga and Martha Stewart. 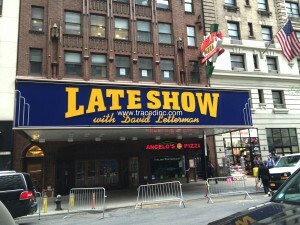 Bill was a surprise guest who brought Gaga down 53rd street.